Extreme Sailing Series video above published Nov 30, 2017: The season finale got off to an eventful start in Los Cabos. #TeamOmanAir emerged victorious, SAP Extreme Sailing Team was a speed record breaker and Red Bull Sailing Team and Alinghi both had miraculous recoveries from the edge of capsize. Watch the highlights above. UPDATE 13 December 2017: Eric de Turckheim's French Nivelt-Muratet 54 Teasing Machine is the overall winner of the 2017 RORC Transatlantic Race. Whilst many of the record 23 yacht fleet are still racing, none of them can better Teasing Machine's corrected time under IRC. Teasing Machine is the smallest yacht to win the RORC Transatlantic Trophy which has been previously won by yachts in the Maxi Class. 10 Dec 2017: Roman Guerra's Volvo 70 Monster Project finished the 2017 RORC Transatlantic Race on Sunday 10 December 2017 in an elapsed time of 14 days 21 hrs 39 mins 46 secs. 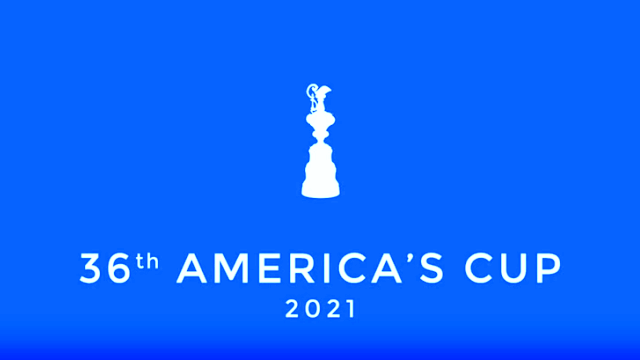 Sixteen yachts are still racing across the Atlantic Ocean and a number of teams will finish the 3,000 nautical mile race over the next 48 hours. Day 15 1000 UTC 9 December 2017: Eric de Turckheim's French Nivelt-Muratet 54 Teasing Machine finished the 2017 RORC Transatlantic Race on Friday 8 December in an elapsed time of 13 days 19 hrs 29 mins 08 secs. The French team lead the race overall after IRC time correction. Canadian Southern Wind 96 Sorceress, skippered by Daniel Stump and Tilmar Hansen's German Elliot 52 Outsider have also finished the RORC Transatlantic Race. 17 yachts are still at sea, vying for the finish line outside Camper & Nicholsons Port Louis Marina in Grenada. Teasing Machine arrived at sunset on the 14th day of the race and has one hand on the RORC Transatlantic Race Trophy. The team cheered for joy as they crossed the finish line. "We are very happy to be here in Grenada," smiled Eric de Turckheim. "This is my first transatlantic race and it has been fantastic." Marten 72 Aragon, skippered by Jochen Bovenkamp and Canadian Southern Wind 96 Sorceress, skippered by Daniel Stump are likely to be the next yachts to finish. The Maxis have close company from two high-performance offshore racing yachts, Tilmar Hansen's German Elliott 52 Outsider and the provisional overall leader, Eric de Turckheim's French Nivelt-Muratet 54 Teasing Machine. All four yachts are expected to finish the 2017 RORC Transatlantic Race on Friday 8th December. 05 Dec: Ludde Ingvall's Maxi CQS is expected to finish the 4th edition of the RORC Transatlantic Race Wednesday, and the overall leader under IRC, Eric de Turckheim's French Teasing Machine, is under threat from two Maxis. Everyone is keeping a close eye on the race tracker as the fleet near Grenada; especially as a high pressure system is expected to create another conundrum for the majority of the fleet. As dawn broke on the eleventh day of the 2017 RORC Transatlantic Race, Ludde Ingvall's Australian Maxi CQS was under 300 miles from taking monohull line honours and lifting the IMA Transatlantic Trophy. CQS suffered damage to their mainsail during a knockdown in heavy weather and has one big gybe remaining before pointing their bow at Grenada and the finish. CQS is reaching at top speed and expected to finish at approximately midday local time on December 6th. A warm welcome is waiting for them at Camper & Nicholsons Port Louis Marina. 05 Dec 2017 04:00 UTC: Supermaxi CQS AUS11111 Speed: 15.6 knots @ 277.91°; Skipper: Ludde Ingvall; DTF (Distance to Finish): 447.2 NM; Distance last 24hrs: 308 Nautical Miles (NM). 04 Dec 2017 17:00 UTC--CQS Recovers From Knockdown--Ludde Ingvall's CQS is now back on track after suffering a setback in the RORC Transatlantic Race; the westbound leg of the Atlantic Anniversary Regatta. "We got caught in a bad squall of probably 40 knots which resulted in a number of issues," Ingvall reported from on board on day 10 of the race. "There has been damage to sails and onboard electronic systems, but we are still progressing towards the finish." Kenneth Thelen, co-skipper for Australian Maxi CQS confirmed that all of the crew of the 96ft canting keel Maxi were safe and well. Describing the damage he said: "Part of our electronics failed making it hard to sail in the dark. We blew our biggest spinnaker, but it is repairable. As we went into a gybe, the engine stalled and we lay flat on our side for a while which resulted in a diesel spill inside the boat, so the smell is terrible in the heat! We broke the top three battens in the mainsail, but we are still sailing towards the finish at reasonable speed, in pouring rain. We will assess the situation at first light." At 1100 UTC on December 4th, the race tracker showed that CQS had slowed down to barely a few knots of boat speed to effect repairs. "We are back on track," continued Ingvall. We lost about six hours while sailing slowly and then stopped to repair probably at 90-95%, but we are now doing 14-15 knots average with G1 and a full main." At the time of the incident CQS was more than 400 nautical miles ahead of Jochen Bovenkamp's Dutch Marten 72 Aragon and Southernwind 96 Sorceress, skippered by Daniel Stump. CQS are fighting all the way to hold onto their grip on the IMA Transatlantic Race Trophy. Eric de Turckheim's French Nivelt-Muratet 54 Teasing Machine leads overall after IRC time correction and the majority of the record fleet are reaching at double-digit boat speed towards the finish at Camper & Nicholsons Port Louis Marina, Grenada. 04 Dec 2017 02:00 UTC: Ludde Ingvall's Australian Maxi CQS is less than 800 nautical miles from Camper & Nicholson's Port Louis Marina, 400+ miles ahead of the fleet to take Monohull Line Honours and the IMA Transatlantic Trophy. Eric de Turckheim's French Nivelt-Muratet 54 Teasing Machine is still the provisional leader overall under IRC. However four other teams are also in the hunt for the RORC Transatlantic Race Trophy; CQS, Jochen Bovenkamp's Marten 72 Aragon, Teichmann & Thomas Jungblut's German Elliott 52 Outsider, and Canadian Southernwind 96 Sorceress, skippered by Daniel Stump. CQS has been hitting over 20 knots of boat speed, surfing down Atlantic rollers, but it has not all been plane sailing as their blog shows. "The A2 spinnaker had been up for four days during the RORC Transatlantic Race when a two foot tear appeared during a gybe. A4 hoisted, A2 doused, repaired, repacked and hoisted. Total time 90 minutes. All 15 crew working flat out. Now that's what I call teamwork!" (2 gray vessels in front in the screenshot show projected positions of two classes' all-time record holders from prior years). Dec 1, 01:00 UTC: a huge spread in the fleet, with boats 800 miles across the Atlantic Ocean, north to south. Ludde Ingvall's Australian Maxi CQS leads the fleet, gybing further south last night and under 2,000 miles from the finish at Camper & Nicholsons Port Louis Marina, Grenada. CQS is 186 miles ahead of Canadian 96ft Southern Wind Sorceress in the battle to win the International Maxi Association (IMA) Transatlantic Trophy for monohull line honors. 2017 RORC Transatlantic Race video JANGADA RICHARD PALMER | YouTube.com: RORC published on Nov 30, 2017, a sat. phone interview (video) of Richard Palmer racing British JPK 10.10 Jangada Two Handed on Day 6 of the 2017 RORC Transatlantic Race. Nov 29: Maxi CQS sailing away on the southern route appears headed for line honours while the majority of the fleet have yet to cross the long ridge of high pressure extending from the Canary Islands across the Atlantic to reach the northeast tradewinds. Tactical decisions over the next day or two in this 3,000 mile offshore race may determine the final finish positions. Nov 28, 2017: Varuna retires from the RORC Transatlantic Race while Ludde Ingvall's Maxi CQS made short work of the transition zone to the south of the rhumb line, slowing down for just four hours before reaching fresh breeze from the north east. At 0900 GMT the third day of the race, the Australian 98ft canting maxi was enjoying downwind conditions in a moderate breeze, gybing to keep in the best pressure--rorctransatlantic.rorc.org. See also: monohull leaders board. RORC video above published Nov 21, 2017: Eric De Turckheim's Teasing Machine is taking part in the 2017 RORC Transatlantic Race. Tactician Laurent Pages interview before the start. Recognised in 2010 as the World Sailing international class of Maxi yachts, the IMA has the exclusive right to organise World championships for Maxi yachts. The IMA rule defines and categorises maxi yachts: it aims to embrace all maxi yachts and encourage any development that has a positive effect on the construction and performance of maxi yachts. RC44ClassAssociation video above published Nov 26, 2017: Despite performing dances for the wind gods, the wind failed to materialise for a second consecutive day at the RC44 Calero Marinas Cup in the normally windy Canary Islands. With no racing on the final day, John Bassadone’s Peninsula Petroleum claimed this, the last event of the season. In turn this left Igor Lah’s Team CEEREF to win her second consecutive RC44 Championship. Bassadone congratulated his crew, including his long term Italian tactician Vasco Vascotto, and also local sailor Alfredo Morales who stood in for him on Thursday’s opening day and for race one of day two. On that second day they had won both races, results which ultimately secured victory for the Gibraltar-based team at the RC44 Calero Marinas Cup. Nov 26, 2017: Days 3 & 4 Racing CANCELLED at RC44 Calero Marinas Cup--Wind hole in Arrecife--John Bassadone’s Peninsula Petroleum won this last event of the season, and Igor Lah’s Team CEEREF wins her second consecutive RC44 Championship. RC44ClassAssociation video above published Nov 24, 2017: While on day one there was no stand-out crew, today Peninsula Petroleum had the bit between her teeth, claiming race wins in both of today's two races, despite having two helms: Alfredo Morales standing in for John Bassadone who arrived in Lanzarote today just in time to compete in and win race two. The RC44 Calero Marinas Cup is the final event of the 2017 RC44 Championship Tour, which pits the world's top businessmen and the best sailors in the industry compete in high-performance one-design 44-foot carbon racing yachts. RC44 Class Association video above published Nov 23, 2017: Consistency was not easy on day one of race, with big Atlantic waves remaining as the wind dropped. Nonetheless it remains close and after three races just six points separates first from eighth. Chris Bake and team Aqua had a great day on water and currently leading but with the Team Ceeref in second, and Team Nika third, Team Aqua will need to stay focused. The RC44 Calero Marinas Cup is the final event of the 2017 RC44 Championship Tour, which pits the world's top businessmen and the best sailors in the industry compete in high-performance one-design 44-foot carbon racing yachts. Volvo Ocean Race Leg 2, Week 3 Review Video above (published Nov 21, 2017). Volvo Ocean Race video above published Nov 19, 2017. See also: JohnTheCrowd | Sailing News: Volvo Ocean Race Leg 2, Lisbon to Cape Town, Nonstop, LIVE Feed. North Sails video above published Nov 13, 2017: Olympic success has run strong throughout North Sails history, with a wide-reaching commitment to providing the best across various sailing classes. ✔️ Don't make #KingNeptune👑 angry! Barcelona World Race video published Nov 13, 2017. The Barcelona World Race is a round-the-world yacht race for crews of two, sailed on Open 60 IMOCA monohull boats. It starts and finishes in Barcelona. The next Barcelona World Race starts January 12, 2019. Episode 2 of the RC44 Championship Tour documentary Down to the wire featuring the 2017 Marstrand World Championship. Down to the wire is an exclusive three-part series with Bloomberg TV EMEA so you can follow all the action, watch unseen interviews with the owners and find out from the sailors themselves just what it takes to race on one of the most competitive one-design racing circuits in the world. Volvo Ocean Race Leg 2, Week 2: Fast racing continues for the teams as they head south and through the Doldrums – a famously tricky part of the world which has historically stranded ships for weeks –then, the Equator and a visit from King Neptune for the 19 offshore rookies, the Pollywogs, in the fleet, during this leg from Lisbon, Portugal, to Cape Town, South Africa. Volvo Ocean Race video published Nov 15, 2017. 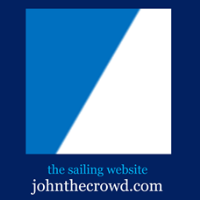 See also: JohnTheCrowd.com | Sailing News: Volvo Ocean Race Leg 2, Lisbon to Cape Town, Nonstop, LIVE Feed. The RC44 Cascais Cup Sep 28-Oct 1, 2017 highlights, a. RC44 Class Association video. The RC44 Cascais Cup was the fourth event of the 2017 RC44 Championship Tour, which pit the world's top businessmen and the best sailors in the industry compete in high-performance one-design 44-foot carbon racing yachts. Video footage of Armel le Cléac'h and Alex Thompson off the Kerguelen during the last Vendée Globe won the Innovation Award at the Monaco Sportel Awards. When a bridge closes for repairs and cuts off this maritime community from the capital of Maryland, there are a few ways the locals could have responded. The decisions they made then have made Eastport what it is today. (As seen on Maryland Public Television, video published Oct 17, 2017). Volvo Ocean Race video above published Nov 10, 2017: Since 1973, winning the Volvo Ocean Race has been an obsession for the world's best sailors – and is widely regarded as the toughest test of a team in professional sport. Racing over 45,000 nautical miles through the harshest conditions on the planet and with sailors cramped into a 65 foot carbon fibre boat, the race is a top-level sporting challenge and a survival test bordering on a psychological experiment. Despite this, the hardest part is getting to the start line – and this documentary follows the journey of the seven teams competing in the 2017-18 edition from a year before race start, right up to the start gun in Alicante in October 2017. Who will add their name to the list of legends engraved on the trophy? Rolex World of Yachting video published Oct 31, 2017. The 606 nm Rolex Middle Sea Race, organized by the Royal Malta Yacht Club, takes place each year and encompasses one of the most scenic courses in the world. 104 boats from 30 nations started the 38th edition. Owing to seriously strong winds and a considerable sea state on the third day, only 35 yachts completed the course confirming the race’s reputation as one of the most challenging in offshore sailing. Centred in the heart of the Mediterranean, the race starts and finishes in Malta. Leaving from Grand Harbour, Valletta, the fleet passes through the Strait of Messina and rounds the active volcano of Stromboli off the northern coast of Sicily. It then continues west past the Aeolian Islands and on to the Egadi Islands, before turning south to Pantelleria and Lampedusa and finally back to the finish. The Rolex Middle Sea Race has been sponsored by Rolex since 2002. Rolex World of Yachting video above published Oct 13, 2017. World Sailing Show video above published Nov 9, 2017: The blistering slingshot start out of Lisbon lasted for days as the fleet charged south. It was a punishing ride and a baptism of fire. World Sailing Show video published Nov 6, 2017: Form guide to the Volvo Ocean Race teams, the favorites and how they may fare over the next 8 months. World Match Racing Tour video above published Nov 6, 2017: The race where Mirsky Racing Team became Match Racing World Champions, and one defining moment on the start line secured their fate. Volvo Ocean Race video above published Nov 27, 2017: What an incredible leg from Lisbon to Cape Town! The three-week race had everything – fast, wet sailing, a Doldrums crossing, an Equator ceremony, and extremely close racing! Here's all the action in 200 seconds. Volvo Ocean Race video above published Nov 24, 2017: Spanish team MAPFRE took the plaudits in front of thousands of fans in the Race Village, winning Leg 2 after a 7,000 mile Atlantic marathon from Lisbon. Volvo Ocean Race 2017-18 video: Watch the Leg 2 Start from the best seat in the house! Volvo Ocean Race video above published Nov 6, 2017: Scallywag takes a dive during Leg 2 to Cape Town in big winds and big seas. Full Replay: Epic helicopter footage of the Leg 2 start! Volvo Ocean Race video above published Nov 5, 2017: Follow the fleet as it races out of Lisbon in 25-30 knots of wind and huge waves! See also Volvo Ocean Race Leg 2 Start Highlights--Volvo Ocean Race video published Nov 5, 2017--The fleet departs for the 7,000nm downwind slog to Cape Town – but first, the boats must negotiate a tricky in-shore course in Lisbon, in 20-25 knots! Seven boats, a short, 4 lap course and some incredible racing conditions – the Mirpuri Foundation In-Port Race was epic! Volvo Ocean Race video published Nov 2, 2017: Everything you need to know about the Volvo Ocean Race in two minutes, courtesy of Team Brunel. Volvo Ocean Race 2017-18, Leg 2: Lisbon, Portugal, to Capetown, South Africa, 7000 nautical miles non-stop: LIVE tracker. Barcelona World Race (from the Notice of Race (pdf)): The fourth edition of the Barcelona World Race will be run in 2018/2019. It will be a round-the-world yacht race two crew members, with a stopover in Sydney, reserved to crews entered on IMOCA 60’ monohulls. The Barcelona World Race may be referred to as "The Race" or "The BWR 2019" in various official documents. The Fundació Navegació Oceànica Barcelona (FNOB) is the organizing authority of the BWR 2018/19 with the Real Federación Española de Vela as co-organizer with the partnership of Federació Catalana de Vela.